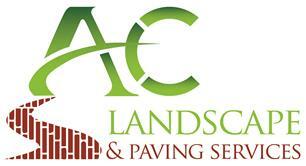 AC Landscapes and Paving Services - Driveways/Patios/Paths, Landscaper based in Bramley, Hampshire. Based in Bramley near Basingstoke, we are well placed to offer our services to the surrounding towns and villages of Hampshire, Berkshire and Surrey. With over 25 years’ experience in the landscaping and paving industry covering all aspects of domestic and commercial landscaping you can be assured that we are experienced, skilled and capable in all disciplines undertaken. We take great care over every job undertaken and attention to detail is our forte, as testified by many satisfied previous clients. We don't start more than one job at any time and will always see the current job through to your complete satisfaction before starting the next. As proud members of Checkatrade and Marshalls Register of Accredited Landscape Contractors you can be confident that your garden paving or landscaping project will receive the attention it deserves, and you expect.